More titles available soon... Please contact info@silverliningtv.com for more information. Teenager Joanne can text faster with her top lip than most people can with their fingers, can eat spaghetti balancing her fork under her chin and is on first name terms with her favourite band, One Direction. 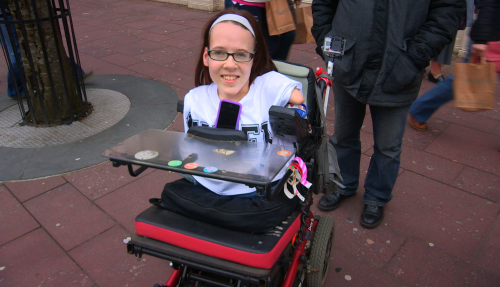 She is also one of only seven people in the world born with no limbs due to a condition called Total Amelia. When the British Olympic Bobsleigh team gets in touch, Joanne decides she’s ready to face one of her biggest challenges. 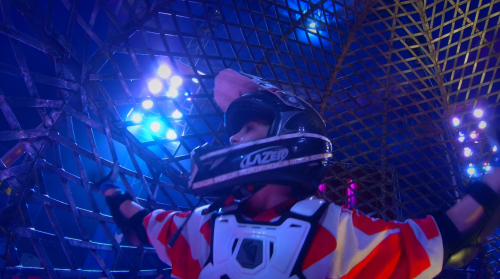 The story of 14 year-old Peter, the youngest stunt motorbike rider in Europe who performs in his parent’s circus. Being one of the show’s most popular performers brings daily challenges, and the film follows Peter as he arrives with his friends in Scarborough the night before the Big Top goes up. Ahmed is like any other boy his age, except he’s had to leave everything behind, including his toys and technology, to move to a refugee camp. Life in Zaatari camp is nothing compared to home. When the Syrian civil war began in 2012, his family had to abandon their affluent lives and, with thousands of others, flee across the border to Zaatari for safety. Despite their camp having everything they need, from shops to a hospital, school and football pitches, life is very different to how it was before. Ahmed doesn’t let this affect his positivity though, and he finds new ways to have fun with his friends. As Ahmed cycles around the five-mile square camp, he introduces us to some of the other inspirational children who live there and we see the reality of life in a refugee camp from the unique point of view of a child. In My Life: The Burns Club, 12-year-old Holly was just a toddler when she was badly burnt on her head and arm by hot fat from a chip pan. The Burns Club follows Holly for six exciting but extremely anxious months as she has an innovative operation to expand her hair by placing special balloons beneath her scalp, which could cover the bald scars on her head. Stephanie, 14, also survived a fire when she was a toddler and is going through similar treatment. In this film, the girls share their experiences and talk about what it's like to live with scars. Ultimately the operations don't always work and what Holly learns from Stephanie is the confidence to live with her scars and be happy just as she is. Moving to the other side of the world is a massive decision for anyone to make, but how do children feel when their parents decide to up sticks and go to live in a different country? In My Life: One Way Ticket we find out, as we follow 10-year-old Daniel and his family as they move lock, stock and barrel from Devon, England to Wellington, New Zealand. As well as being excited about the big adventure, Daniel is also sad to be saying goodbye to his grandparents, friends and pet cat Bailey. But will the family settle into their brand-new life in New Zealand or decide to return home? 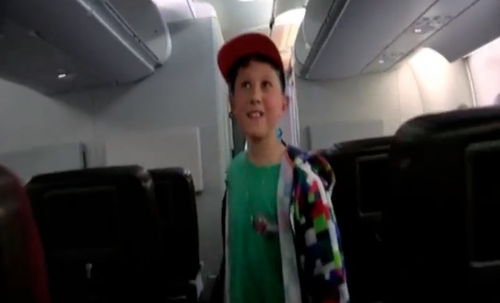 Thirteen year-old Leo loves socialising with his friends, beat-boxing and doing all the things a 13-year-old boy would normally do. What makes Leo different is that he was born with a girl’s body. 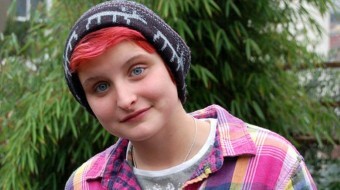 He has become one of the first children in Britain to be prescribed hormone blockers to prevent him growing into a young woman. Leo tells his very intimate story through a series of video diaries and interviews to explain exactly what it’s like to be transgender and his journey to be accepted by other people as male. Libby, who narrates the film, has suffered from anxiety for more than a year and gets anxious over nearly everything, Ethan was diagnosed with ADHD when he was 9 years old and as a result has low self-esteem and Oliver has had OCD since he was really young and fears germs and getting dirty. This insightful and remarkably honest film follows Libby, Oliver and Ethan to find out how their mental health affects their lives and their determination not to let it hold them back. Ruben, Harley and Nicole are three very different twelve year olds, with one very big thing in common. They all have a dream and they won’t let anything stand in the way of it - especially something as unimportant as having Down’s Syndrome. Having been wrapped up in cotton wool by their parents since they were born, we follow these three extraordinary children over the summer that will change their lives forever. Thirteen-year-old Kim and eight-year-old Dan have never met, but they both have alopecia and are growing up without hair. They both find it difficult: Dan doesn’t like the names he gets called, and Kim is so worried people will stare at her that she’s stopped going out – even with her wig on. 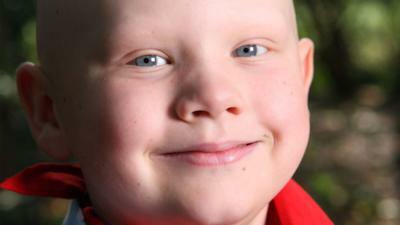 They meet at a special summer camp for kids with alopecia, kids just like them who have lost all or part of their hair. My Life Without Hair follows their journey. As Dan makes new friends at camp, he discovers that he’s pretty happy being bald and faces the prospect of going back to school in a new class with renewed confidence. Kim is so used to hiding away that it’s hard for her to join in. But when she meets beautiful twelve-year-old Gemma she realises that life really can be okay without hair. Shelby is not a “girly” girl. She likes having short hair, hates wearing make-up and can’t stand pink. And she’s happy that way. But being a different kind of girl hasn't always been easy. In this film she meets different types of girls — a tomboy, a ballet dancer and a wannabe pirate — in an attempt to work out exactly what is a girl. 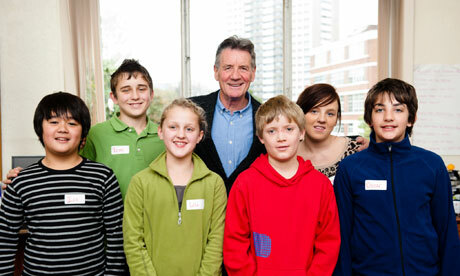 Stammer School follows children at the internationally renowned Michael Palin Centre for Stammering Children as they go through an intensive course of speech and language therapy. Full of courage, tenacity and humour, the film gives a unique perspective on how stammering affects children’s lives. This is the story of growing up on the streets of Africa's biggest slum – told by the children themselves. You might think this is a depressing place, but nothing could be further from the truth – it's one of the most upbeat and enterprising places on the planet. 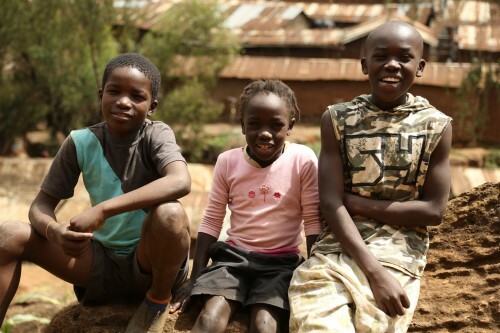 Thousands of children call Kibera home, living by their wits every day. Some of them sleep rough while others live in orphanages, but life here really takes place on the streets. The spirit of ambition here is universal and these kids are talented too! They're acrobats, dancers, writers and they’re very street savvy when it comes to doing business. The Kids from Kibera takes its viewers on an unforgettable journey into this vibrant world. It also reveals that their world isn't so different from ours. 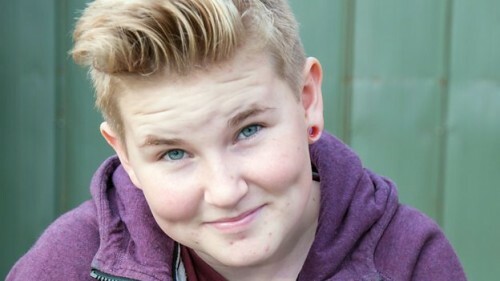 In My Life: Signing Off we meet the charismatic, music and drama-loving Ben – who is certainly no ordinary ten year old. 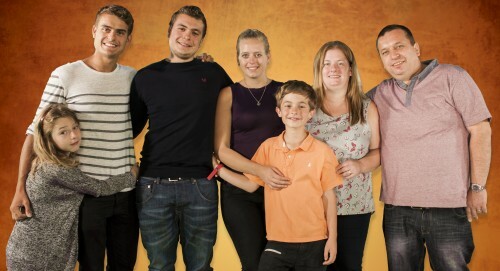 Living with two languages is only part of Ben’s story. He shares with us how it feels to belong to two very different worlds – one of speech and sound and music – and the other – a silent world of signs and a very special culture. My Life: Champion of the World’ follows two brilliant young dancers who live on opposite sides of the Atlantic but are united by their love of Irish dancing. Lauren and Orla spend every waking hour preparing for the World Irish Dancing Championships in Montreal, where they must compete against each other for the prestigious world title.